Let's say you've been partying all night and you have an important meeting the next day. Or you've been up late studying and tomorrow you have a job interview. Or like me, you have an 8 month old boy who is teething, so sleep is out the door, and you really don't want to look like you've been up 5 times last night soothing the baby back to sleep. So what do you do? You do this quick magic trick of course! First, let's look at a before and after shot. What do you think? Is there a difference? 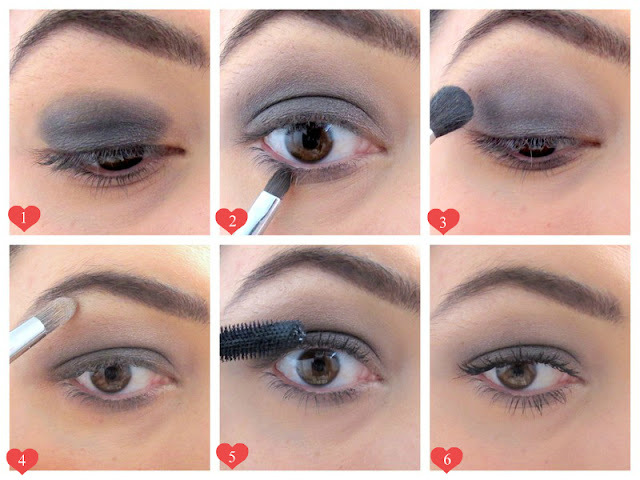 Today I have a tutorial for the basic smokey eye. It's one of the easiest and quickest smokey eyes you can do. All you need is 3 complementary shades of eyeshadows. For example dark brown, beige and cream. Or purple, lilac and pink. For this tutorial I used black, grey and silver but you can use any 3 shades in the same family as long as you have a dark shade, a medium shade and a light shade. 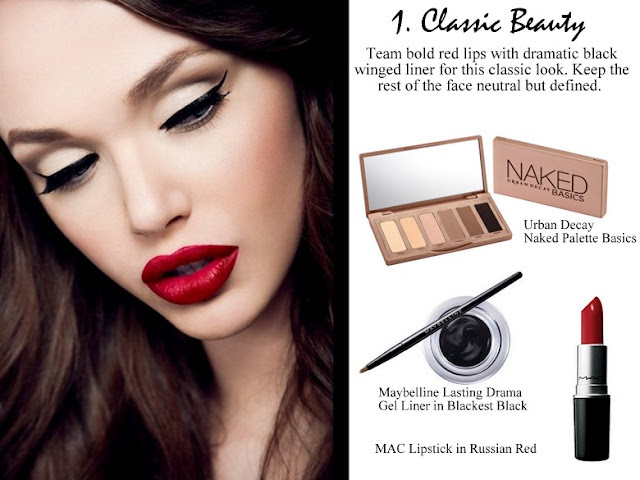 Once you're comfortable doing this basic smokey eye, you can then build on it by adding a winged liner, or cutting the crease with a darker shade. Think of this as the first step to mastering the smokey eye. The New York Fashion week was on just over a week ago, and instead of paying attention to the clothes I was looking to the models' faces for makeup inspiration. After all I'm a beauty blogger, not a fashion blogger. 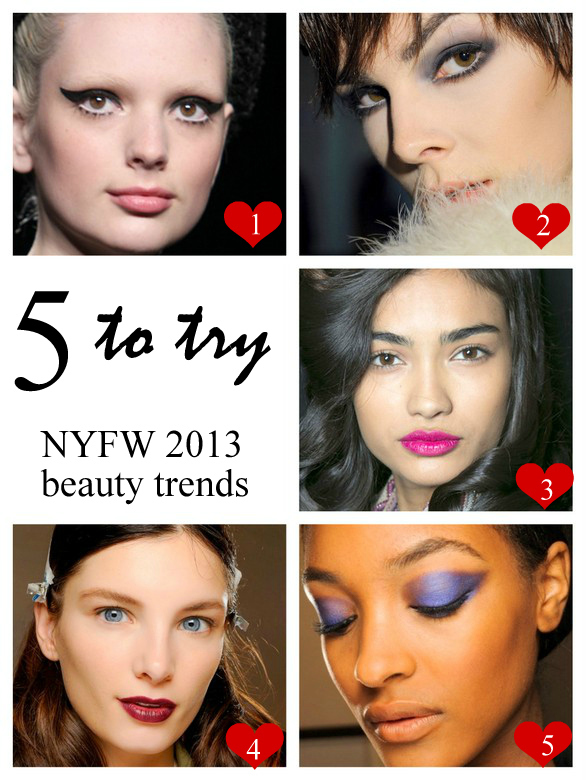 Here are the top 5 looks that caught my eye from NYFW Fall 2013, as not only are they wearable looks, you probably already own all the products needed to create these looks. Thick 60s eyeliner at Anna Sui - recreate the look with black gel eyeliner such as Maybelline Lasting Drama Gel Liner in Blackest Black. The only thing I'm not a fan of here is the eyebrows, or lack thereof. So make it more wearable by making sure to softly define your brows as well. Black smokey eyes at Marc Jacobs - I have a tutorial coming up for a look similar to this, and you can recreate it with Max Factor Trio Eyeshadows in Precious Metals. 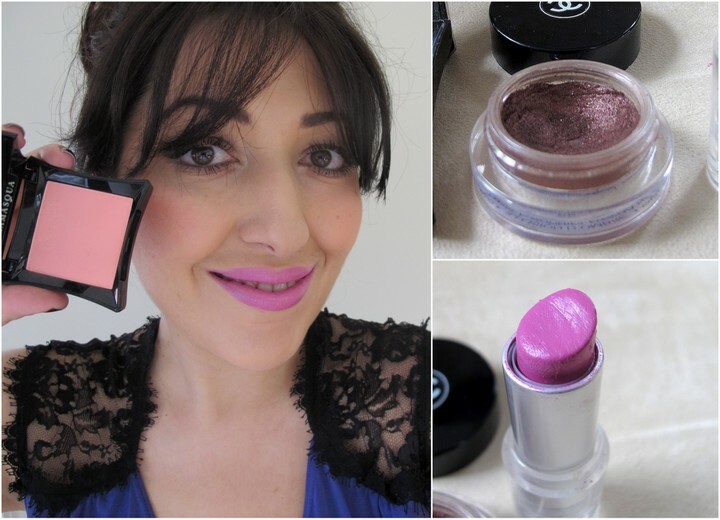 Bright pink lips at Diane Von Furstenberg - MAC lipstick in Girl About Town would be perfect for this look. Wine stained lips at Vera Wang - With your finger dab on Rimmel Kate Matte lipstick in 107 for this pretty look. Indigo eyeshadow at Jason Wu - Illamasqua eyeshadow in Preen is a gorgeous Indigo shade that would look great for this look. When I first bought this Make Up For Ever HD Foundation from IMATS back in 2011, I didn't like it much. Whilst it looked great in photos, in reality it emphasised every dry patch of my skin, and showed up really flaky around my nose area. HERE is my original review of it. So why am I reviewing it again? Because somehow I ended up really liking this now! In the last couple of months I've been trying to use up some of the foundations in my very large foundation stash. This MUFE foundation is one that I was keen to use up, as I'd paid a lot of money for it and did not wish to throw it away. And boy am I glad I gave it another chance, as now it's become one of my favourites. I love a nicely drawn cat eyeliner, it's so chic, so Parisienne. And yet despite years of practice I'm no expert at it. Liquid eyeliners scare me as I can never get a steady enough hand to do a straight line. So when this nifty little liner was sent to me for review, its ergonomically shaped curved handle intrigued me. While doing the weekly grocery run at Coles I noticed they had the Covergirl Lash Blast Fusion mascaras on sale for $10. Not one to pass up a sale, I thought I'd give it a try! I already love the original Lash Blast so I was keen to see what this one was like. I bought the Blackest Black as I like my lashes as dark as possible. 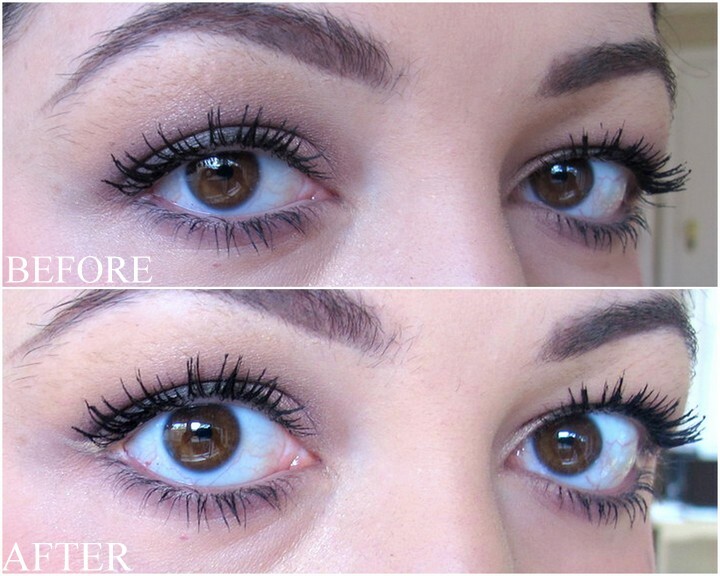 Covergirl Lash Blast Fusion promises to give you volume and length. Now if you've read my previous post on mascara wand types, then you will know that plastic bristles are good for providing definition, volume and length. So read on to see what I thought of it, including how it looks on the lashes. In the spirit of Valentine's Day I strayed away from my usual pastel shades and went a bit darker with a lovely wine coloured polish. And since my obsession with glitter isn't fading yet, I topped it off with some gold glitter polish. Bourjois Anti Choc No Chip in #17 - I love the Anti Choc range from Bourjois, they seriously last 4-5 days without chipping. I applied 2 coats here. Mode* Finders Keepers - I only applied a single coat of this gold glitter shade as I wanted to focus on the wine colour rather than the glitter. Not bad for something sold at Chemists for less than $2.50 each! 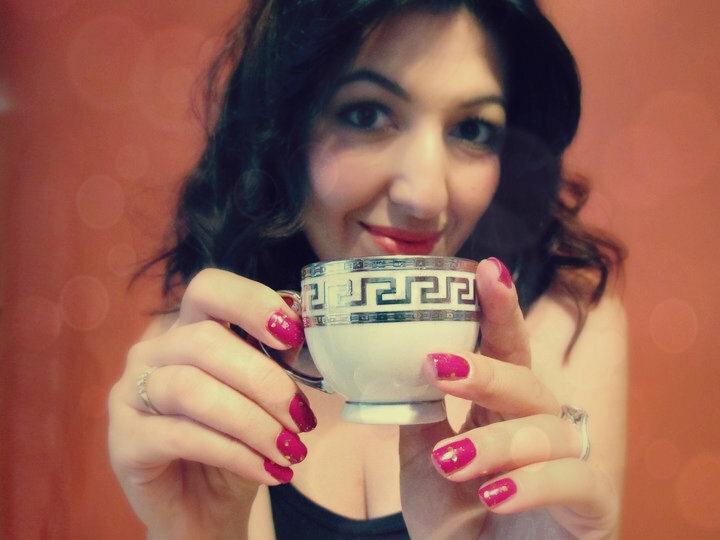 My husband calls me a coffee fiend. You would think I have a major coffee addiction to have earned that title, but seriously I only drink one, maximum 2 cups of coffee a day. I guess the only thing that makes me worthy of that title is that when I was at work I couldn't start my day until I had my morning cappuccino (large, skim, half tsp sugar). Now that I'm on mat leave I have to make my own coffee most mornings. Even though we have a cappuccino maker some days I'm too lazy to go through the whole hoopla just for 1 cup of coffee. On those days I resort to Armenian coffee which takes less than 5 mins to make and gives me that delicious caffeine hit ready to start the day. Here is how I make my Armenian coffee, for those of you interested. Note: Armenian coffee is very similar to Turkish coffee, Arabic coffee, Greek coffee, Cuban coffee. There are also many ways to make it, including adding spices like cardamom for flavour, but this is my super-simple way. If you've made plans for Valentine's Day this year, have you also decided what makeup look you will create? 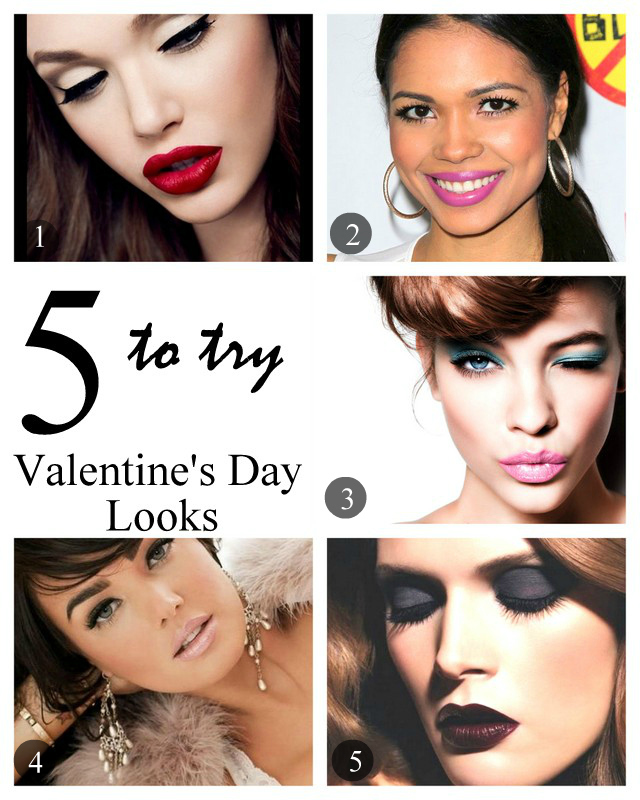 If not, here are 5 makeup ideas for you to try on this romantic day, including some key products to achieve these looks. Let's look at each face in detail, and what are some products that will help you achieve the look. Last Saturday evening we went to a friend's wedding, and with the baby happily hanging out at the grandparents' place it meant that I could finally wear a bright lipstick again (remember, I hardly wear them now). I actually didn't have much time to get ready so I turned to my trusty old favourites that take no time at all to make me look glam. Applying mascara must have been much simpler in the ancient Egyptian times when they used bone or ivory dipped in kohl to darken their lashes. Now there are so many different types of mascara wands out there that you can't help wondering if they actually make a difference or if it's just a marketing gimmick. The one I'm wearing today is Scarce*, which is a soft speckled pink shade. I'm not one for nail art, so this is the next best thing in jazzing up an otherwise plain pastel shade. Illamasqua nail varnish in "Scarce"
A little while ago I asked you to help me decide whether to cut my fringe or grow it out. 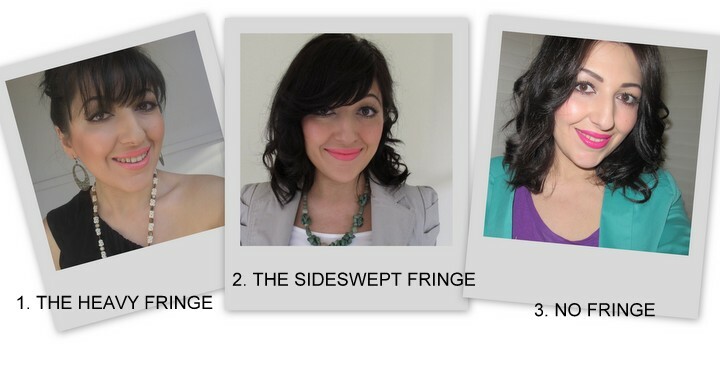 Your opinions were divided between the heavy fringe and the no fringe looks. So I decided to cut it into a long-ish heavy fringe, long enough that if needed I could pin back but also wear it down without covering my eyes too much. (Yes, I cut it myself using how-to guides on YouTube).